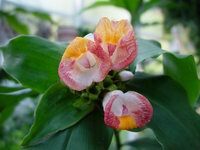 Botanical Description page for GingersRus plant database number " 3436 ". 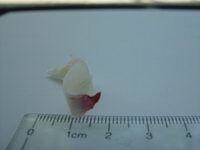 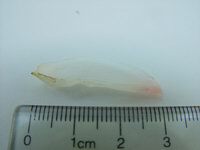 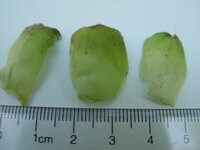 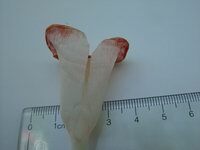 NOTES AND DISTINGUISHING CHARACTERISTICS:The description below is based on Maas in Flora Neotropica. 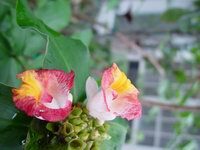 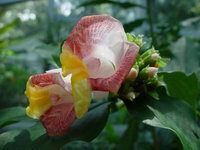 I have also compared it against the description in Koechlin's Flora of Gabon and Lock in Flora of Tropical East Africa. 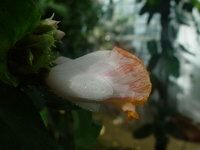 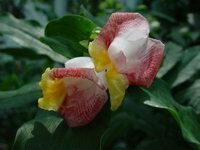 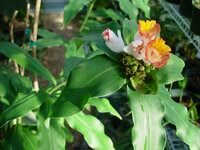 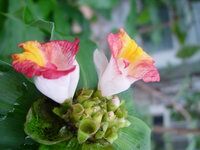 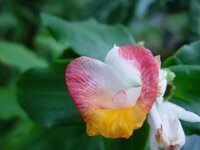 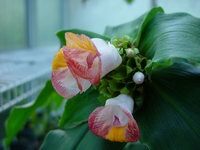 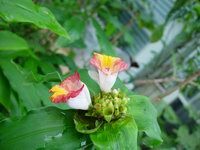 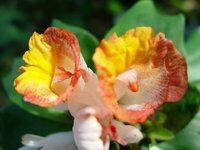 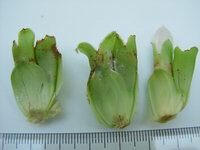 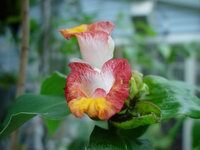 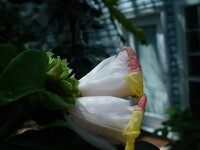 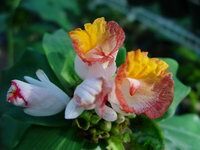 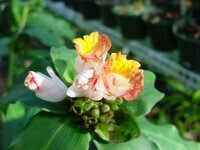 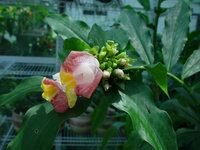 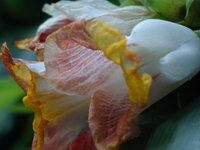 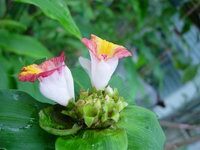 Maas says it can be easily distinguished from the New World Costus by the fact that each bract bears two flowers instead of one, at its axil. 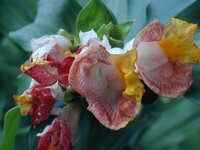 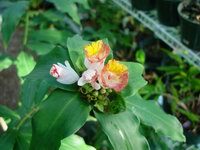 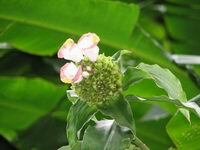 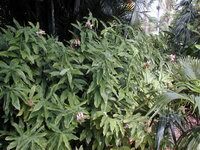 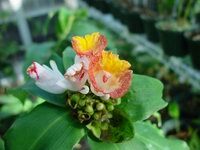 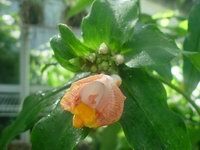 Costus dussi is a synonym. 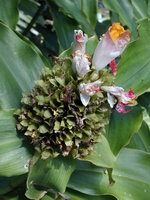 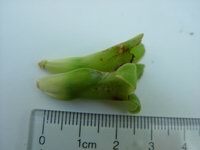 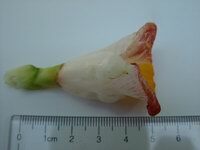 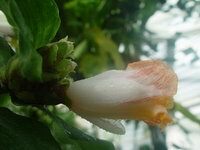 Also described by Koechlin - differences noted are: height to 2-3 m, sheath to 20 mm, petiole to 20 mm, notes 2 flowers per bract, each with it's own bracteole and corolla. 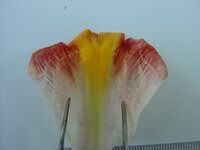 Labellum described as white with red margins and yellow line in middle. 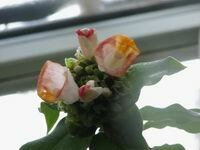 stamen red. 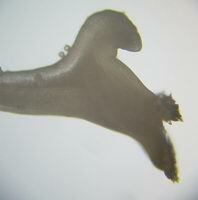 Lock also mentions the "raised coriaceous ridge, with a ciliate margin, surrounding the stem at the ligule base". 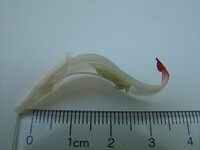 This is a distinguishing characteristic for this species. 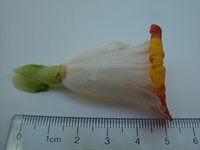 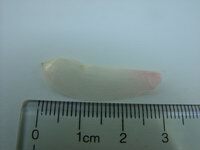 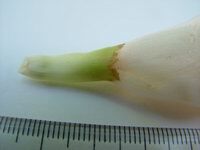 Lock mentions a specimen from Uganda with orange flowers and a less prominent ridge at the ligule base. 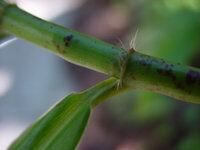 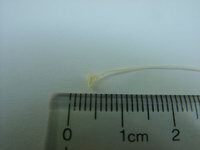 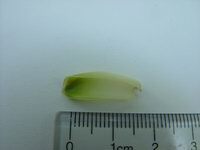 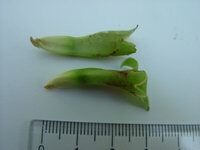 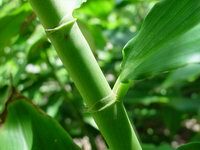 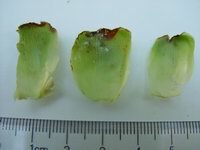 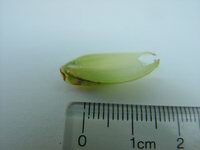 Separation at sheath-ligule marked by a thickening 'cilie' entirely surrounding the sheath. 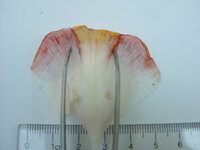 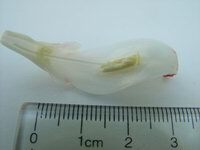 Flowers are the same as C. afer - corolla white, labellum white with red margins and a yellow central line. 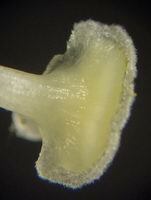 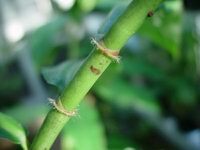 Inflorescence terminal on a leafy stem.